Hot on the heels of the WITTMANN Group’s new W821 robot comes the launch of its high performing little brother, the W808 servo robot. The W808 represents a significant upgrade over the previous W801 version and the new model is now available from the WITTMANN Group worldwide. The W808 includes an integrated control, a smaller overall footprint, and a longer Z-stroke (up to 2,000 mm), all achieved at the same price. The W808 can handle a maximum payload of 3 kg and is designed for optimum uses on injection molding machines of up to 150 t clamping force. The W808 is particularly suited to shorter molding cycle times for such machines and has highly dynamic servo drives for all three axes. It is equipped with a fixed kick-stroke design with a reach of 600 mm. The W808 horizontal stroke is available in either 1,250, 1,500 or 2,000 mm length and the vertical strokes come in either 600, 800 or 1,000 mm length. The W808 can also be retrofitted with additional vacuum and gripper circuits. 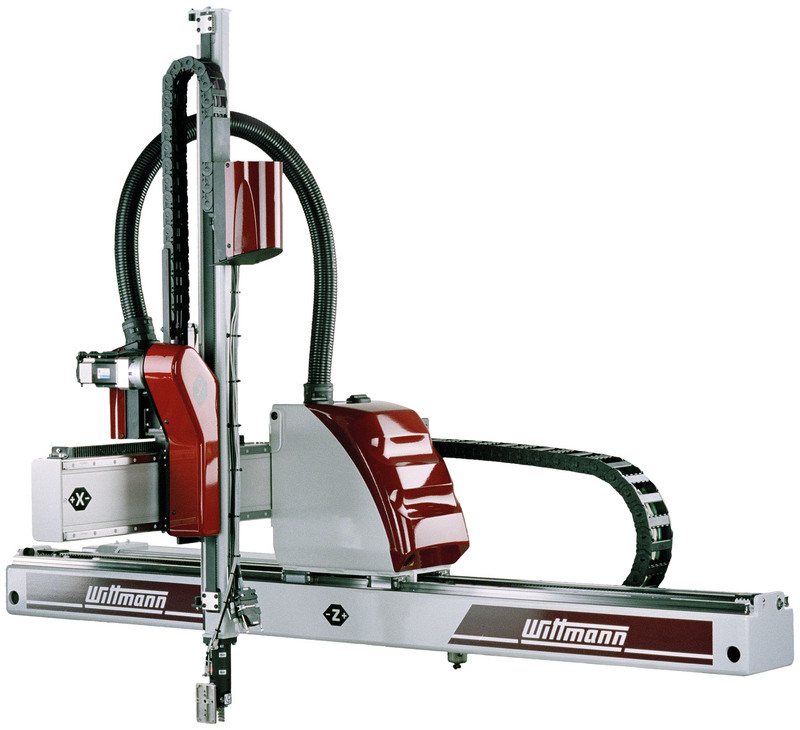 The W808 is the second new WITTMANN robot launch on the market within a couple of weeks with more new products expected from the company over the coming months. These new models are playing their part in increasing the WITTMANN Group’s leadership in the automation of the plastics processing industries worldwide.